1 Oxford and Webster's dictionaries ,2 give trans-Atlantic agreement in English with a common definition for 'Quality' as 'degree of excellence'. Compared with the many words taken up by other authors' definitions, this is remarkably brief and no doubt unsatisfactory to many people. Yet if 'degree' means a stage in an ascending or descending series, in intensity or in amount, then measurement is by definition explicitly required if terms such as 'quality level', 'good quality', 'high quality' etc. are to have any real meaning. 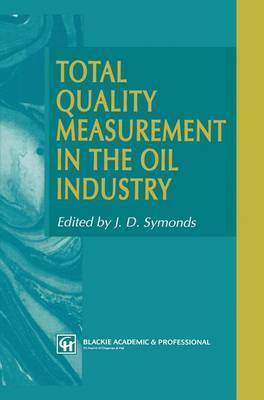 Using measurement is inherent in the methods of all the major writers on the achievement of business improvement through quality. Results from measurements allow improvement by using tools commonly grouped under the heading Statistical Process Control (SPC). Results also form part of the judging criteria of Total Quality Management (TQM) models such as the Malcolm Baldrige National Quality Award in the USA and the more recent European Quality Award. Future revisions of the ISO 9000 series of quality management system standards will specifically require measure- ment of defects. However, it is not easy for quality professionals or line managers to find examples of what they should measure and how to do it in their own particular functions in their own particular industries; case st\}dies always seem to refer to others.